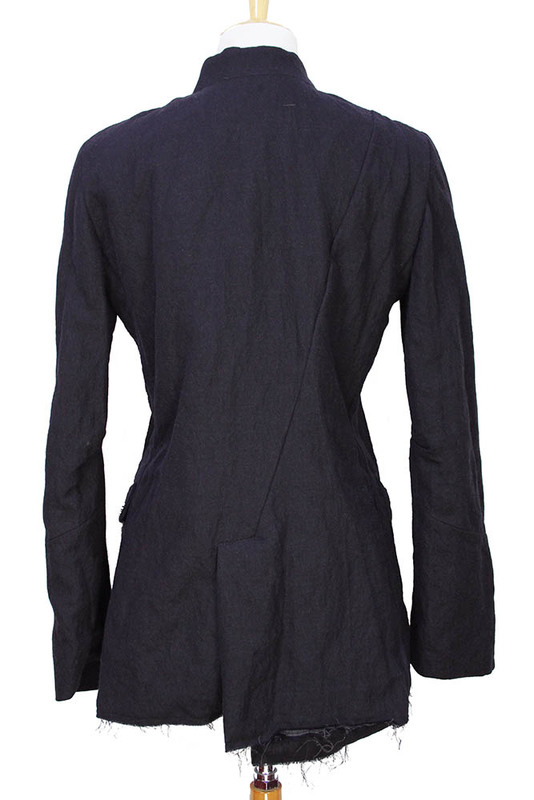 Nostrasantissima stunning three button on a curve, cut-away stye jacket. 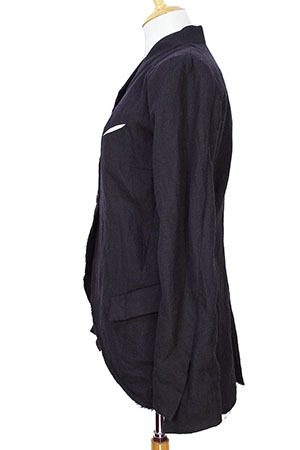 Angled chest pocket with stitch detail and slightly open to show the white fabric inside. Two other pockets, the left with flap and the right with stitch detail and slightly open to show the internal white fabric. Raw edging. 2 level, angle cuffs with stitch detail. Articulated arms. Asymmetric at the rear with angled vent. Fully lined in white cotton. A brilliant jacket. Highly recommended!